Alchemilla is one of my favorite local bands, and I still haven’t made it out to a live gig yet. Their time slots are just too plum, I suppose. They play late sets in close to Boston, while I tend to prefer early sets in the outer western suburbs. One of these days I’ll make the trek, but the stars have not yet aligned, so I’ve just been enjoying the band’s recorded music. Wall-of-sound hard rock with melodic undertones. That’s Alchemilla. Heavy music that screams hard rock credibility, so you start listening to the music for its “sound,” but with songs whose earworm qualities slowly reveal themselves so you eventually rave about the band’s tunefulness. And, indeed, the group’s newest release, its The Divide EP, is a solid continuation of its previous release, the Hearts EP I reviewed in the Blog more than a year ago. By comparison to the overwhelming heaviness of Hearts, The Divide is perhaps a smidgen lighter, though you’d never guess if this was your first exposure. The music will still melt your face, but there’s possibly a bit more open space in the sound wall, a slight sound evolution that gives the new music a little freshness. It’s a great record-to-record progression, similar enough to leave longtime Alchemilla fans thrilled, but just different enough to provide a fresh, unique collection of songs that occupy their own space in the band’s timeline; it’s the sort of progression one would hope for from a favorite heavy rock band. 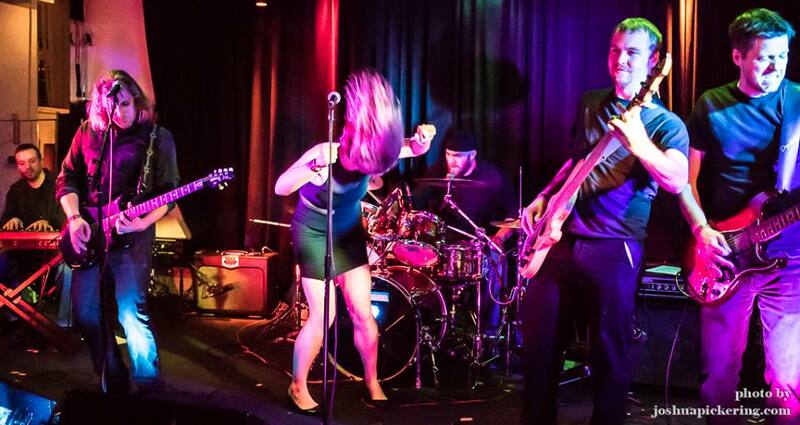 “Fatal” kicks things off with crunchy hard rock guitar and enough space for Kat Bondi’s tuneful vocal roar to be noticed between the instruments, announcing (with authority) the greater presence of classic rock spices in the band’s trademark wall-of-sound stew this go-round. Not that Alchemilla’s forceful drumming can be ignored, as it steps up to drive the tempo even harder on the next track “Big Star,” combining with a crunchier guitar sound to crank up the volume a bit. Energetic tunefulness comes next, as “Pass Blind” introduces itself as Alchemilla’s crank-it-while-driving-on-the-open-road number. Just when it seems the song won’t leave time to breathe, though, it unveils an almost ’70s black-lit-room softly heavy, well-placed guitar bridge that carries the tune most of the way to its conclusion before briefly regaining its faster tempo. It goes together well but still surprises me a little with each listen; though it makes sense as it’s happening, in my memory it almost feels like two songs. Then, ah, here comes the tempo respite. 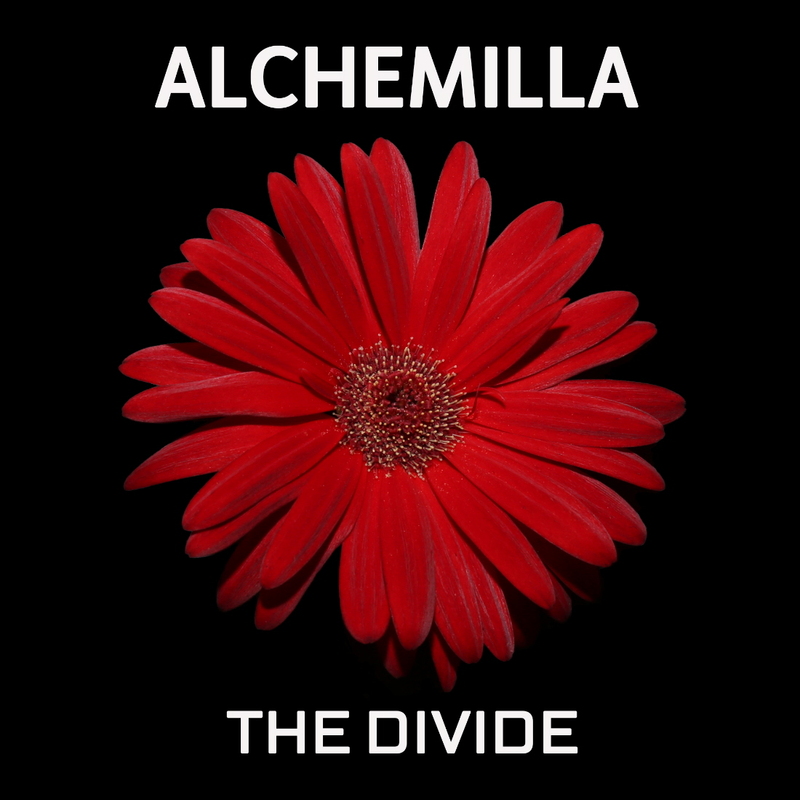 Title track “The Divide” plods along, its pace a bit more reminiscent of many songs on Hearts, providing continuity to Alchemilla’s musical journey. 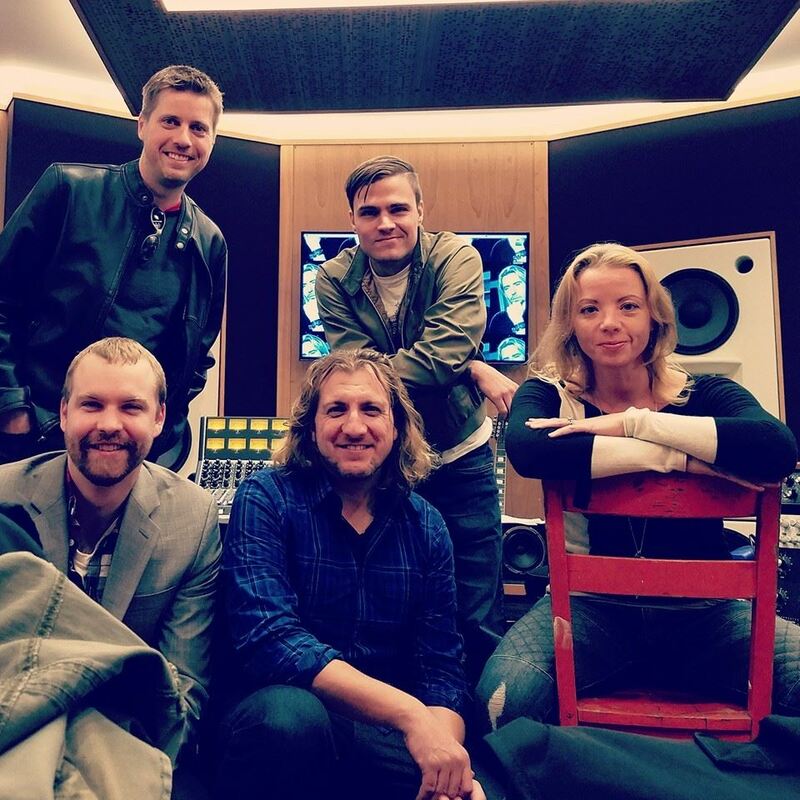 Tunefully plodding, with its vocal roar and psychedelic classic rock-flavored bridge. In the end, it’s one of my favorite songs on this disc, though depending on my mood, my top choice can be any of the six. Back to “The Divide,” though, there’s enough space and a relaxed enough tempo (finally) to allow the listener the think and appreciate… not just this song, but the EP so far. The softer side of Alchemilla continues to rule the record a bit longer, with the almost psychedelically heavily mellow “Flooded Lands,” offering a vegetative respite enveloped by sound, perhaps lounging on a bean bag chair in front of a lava lamp and black light Zeppelin and Rush posters, before the collection closes again with another energetic rocker, “Got to Choose.” The album-ender slyly tricks the listener with a mellow enough opening, almost flowing from the previous track, before cranking up the tempo a little more than a minute in. By the end of the song, “Got to Choose” is almost frenetic. Fully awake and alert, it leaves the listener ready to start the journey over again. 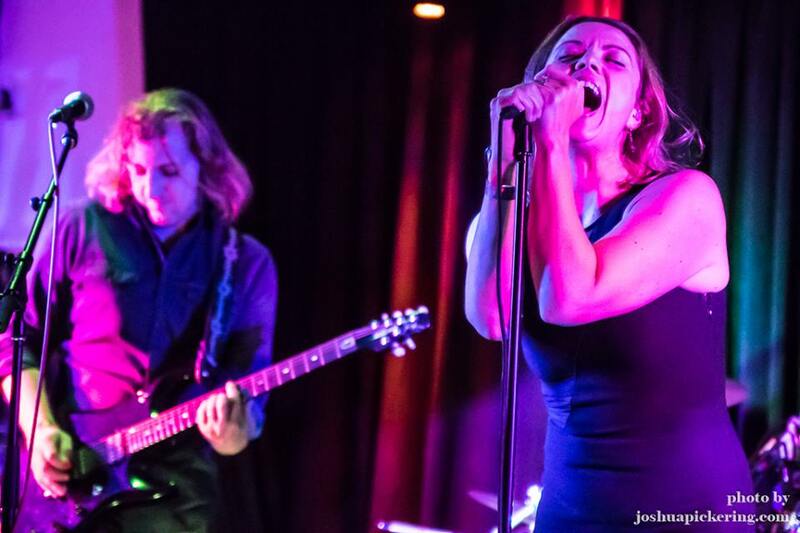 In the end, hard-rockin’ or mellow, Alchemilla’s music is listenable, tuneful, heavy rock that only improves with multiple listens. And, indeed, encourages multiple listens. Compared to Hearts, The Divide is another helping of the same delicious rock ‘n roll steak, perhaps with a few different spices. This entry was posted in Album Reviews and tagged Album Review, Alchemilla, Geoff Wilbur. Bookmark the permalink.